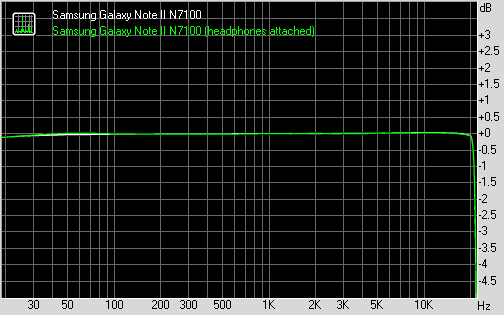 The Samsung Galaxy S III and the Samsung Galaxy Note II audio output is so similar that we are convinced the two share the same hardware. The scores of the duo are virtually identical in both cases of our test, with the Note II having so subtle advantage that it's impossible to detect with a naked ear. No matter which one you choose, you will be enjoying some of the industry's cleanest output and about average volume levels. 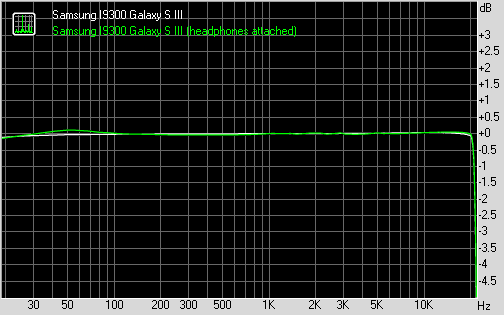 The Samsung Galaxy S III and Galaxy Note II both scored Good marks in our loudspeaker test. The two speakers aren't tuned the same way though, the S III is louder when it comes to voice, while the Note II does better with ringtones. Their loudness is identical when it comes to music. Having reviewed both the Samsung Galaxy S III and Galaxy Note II, and looking at them up close again for this article, it's still hard to pick a favorite. The Note II certainly offers more in a lot of areas we've tested but the user experience isn't dramatically different from what a Galaxy S III offers. So is it worth the extra weight in your pockets and the higher price tag? We guess it's down to what you plan on using the gadget for - the Galaxy S III feels like more of an all-in-one device. It's an excellent phone for calls, for using outdoors, for shooting photos and with a 4.8" 720p Super AMOLED display it does a great job at browsing the web or playing movies. In short, it's a great balance between portability and performance. The Galaxy Note II trades away some phone functions (not the least of which are portability and sunlight legibility) and lets the tablet side of its phablet personality come forward - a screen that's even better suited for multimedia consumption, gaming and, with features like S Pen and the split-screen UI, a higher productivity potential. Go have a look through your wardrobe to see if you can find a place for the Galaxy Note II (probably not a pants pocket - a backpack maybe?) and you can do your math while at it. 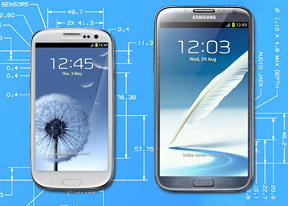 The Galaxy S III costs less, but the extra screen estate alone is worth the difference if you really feel the need for it. At the end it's not about whether the S Pen and the Split Screen are worth the higher asking price. They may as well be. More importantly though, they are exactly the kind of features that can make an owner of a sparkly Galaxy S III admit to a tinge of regret. Others may be cool about it. We'll say it again, size matters. In this case we suggest you get as big a device as you can handle, but no bigger. If the Note II can fit in your hand, than it will waltz straight into your heart. Otherwise, the Galaxy S III is the only way way to go. The Samsung Galaxy S III hit 20 million sales in 100 days and Samsung projects 20 million sales of the Note II (which understandably is a lower-volume item). So, whichever one you pick, you'll be in good company.